Except...it’s only a short zip across the waters of the Pichola to the streets of Udaipur. Every minute spent here is an opportunity for awe. The ferry to the palace sets the tone. 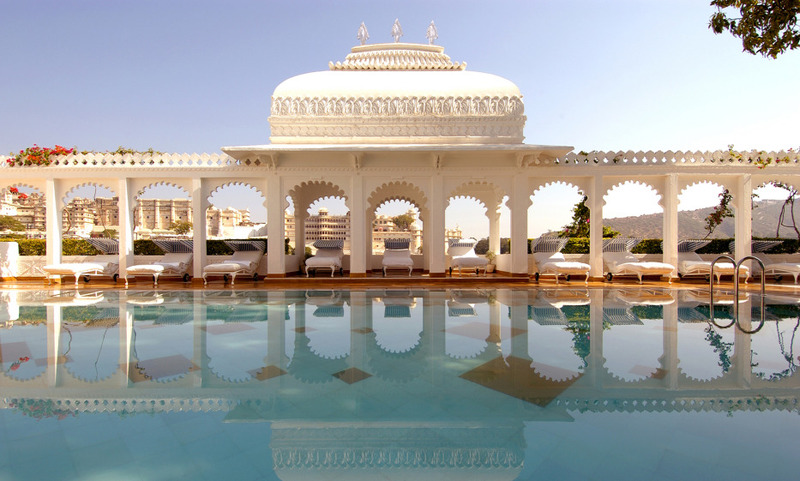 A dreamy boat ride across the lake towards the hotel’s striking white marble facade with views of Udaipur, the Aravalli mountains, and temples all around. Arrivals happen at a small dock where a staff member in traditional dress helps you up, and uses a velvet umbrella to shade you from the sun...and the shower of red petals they’ll rain down on you before you enter the lobby. It’s all very regal, which is what the well-heeled clientele ( past guests include Jacqueline Kennedy and Queen Elizabeth) come here for. Rooms offer panoramic views, and moulded ceilings with plush canopy beds and richly colored upholstery woven from Indian textiles. For the wow factor a stay in the Grand Royal Suite, with its outdoor jacuzzi and private terrace, is second to none.